The Spanish state-owned luxury hotel company Paradores de Turismo is famous for its string of luxury hotels across Spain where ancient castles and monasteries are converted into high end accommodation and restaurants. For the first time, Paradores open international hotel with a new franchise five star property in Penalva do Castelo in Portugal. Managed in conjunction with the Visabeira Group, the five-star Parador Casa da Ínsua heralds the launch of Paradores de Turismo’s new franchise model – a new concept which it hopes to roll out both within Spain and in other international markets to help grow its brand. 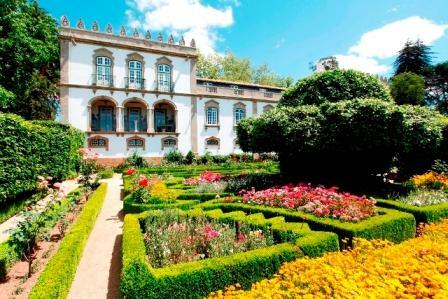 The five-star Parador Casa da Ínsua is a stately Baroque building originally built in the 18th century by Luis de Albuquerque de Mello Pereira y Cáceres. 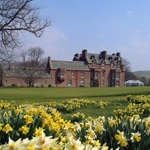 An historic property with a modern outlook, the 35-room hotel blends well into its beautiful surroundings, with its impressive gardens boasting tropical, French and English influences and 32 varieties of camellia. In addition to all the standard facilities expected of a five-star hotel, including a swimming pool and a gym, Parador Casa da Ínsua is home to a number of unusual additional attractions. From its very own cheese factory where its signature ‘Serra de Estrela’ cheese is crafted by hand and a wine cellar where the famous wines of the Dão region can be tasted, to an on-site museum and old blacksmith’s! For guests wanting to explore beyond the hotel and the charming town of Penalva do Castelo, the medieval walled city of Viseu famed for its Roman fortifications and 16th Century Cathedral, is just 25km away. The Serra da Estrela mountain range is also nearby with 375km of paths to discover on foot, bike or horseback, while the city of Oporto is little more than an hour’s drive away. Prices start from €85 per room per night. For more information, reservations and the latest special offers, please visit www.parador.es/en or call tel: +34 902 54 79 79.